The Zenith Elite 6150 is simple, slim, and well put together, but arguably pricey. 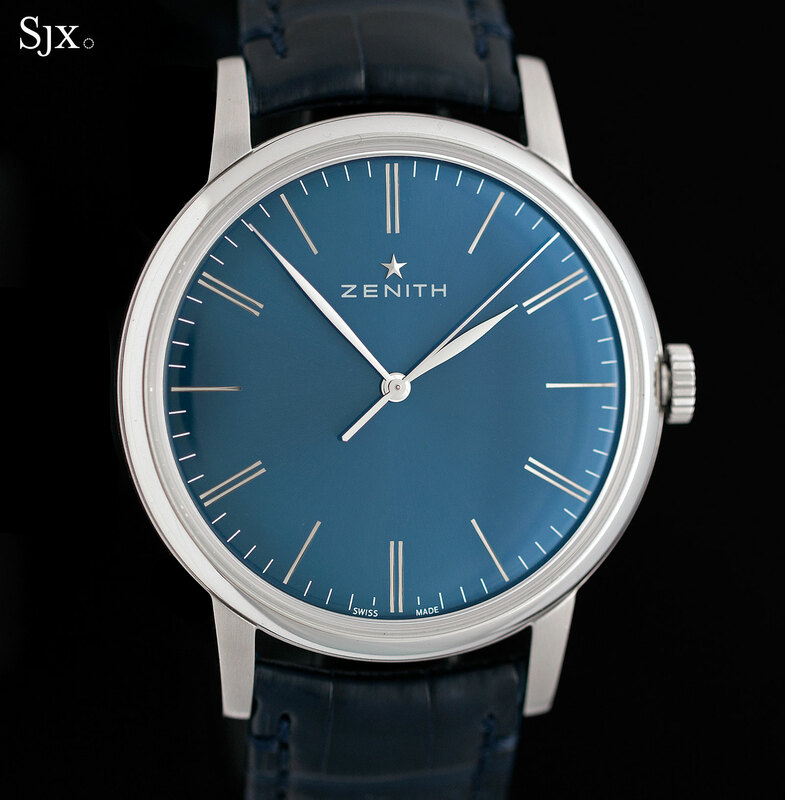 Zenith is best known for its El Primero – the chronographs are synonymous with the brand – but historically it was an accomplished maker of all manner of movements. The Elite 6150 is Zenith’s newest calibre, introduced just last year in the most conservative of styles – steel with a silver dial – but now offered with marginally more choice. The original Zenith Elite was a series of automatic movements introduced in 1994 that were robust – good enough that Urwerk uses them as the base for some of its movements – but small by today’s standards at just under 26mm in diameter. At 30mm the Elite 6150 is larger, suiting contemporary watches better, but for good reason. Instead of a single barrel it has two, lengthening its power reserve to 100 hours, or over four days – double that of the original Elite. The 6150 is 3.92mm high, making it slightly thicker than the first generation Elite, but still thin enough that the resulting watch is under 10mm. 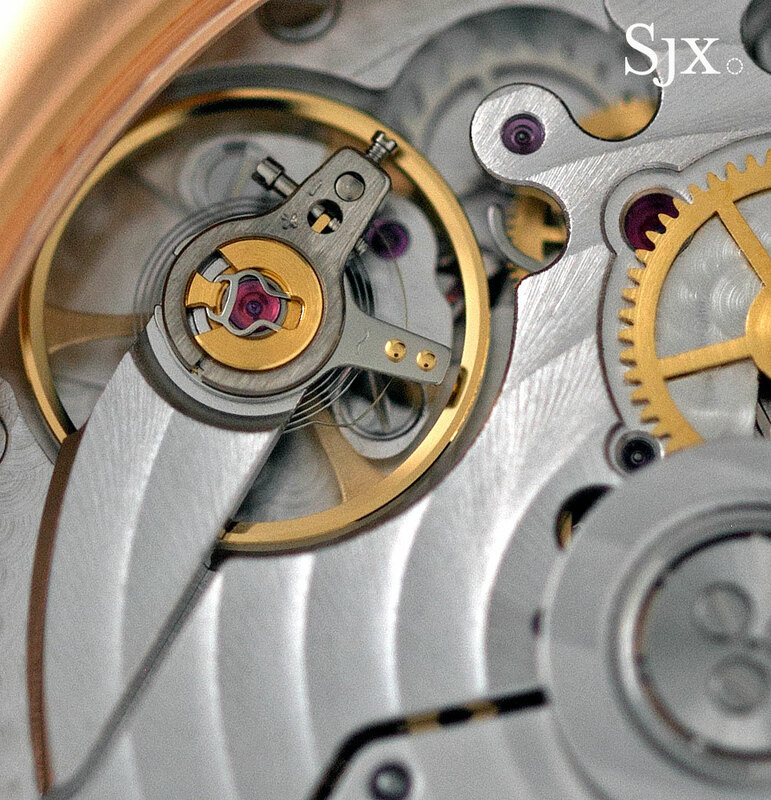 The movement is finished to a standard typical of Zenith, which is handsome but not elaborate. All the decoration is clearly mechanically applied, but it’s as good as it usually gets in this price range and still visually appealing. 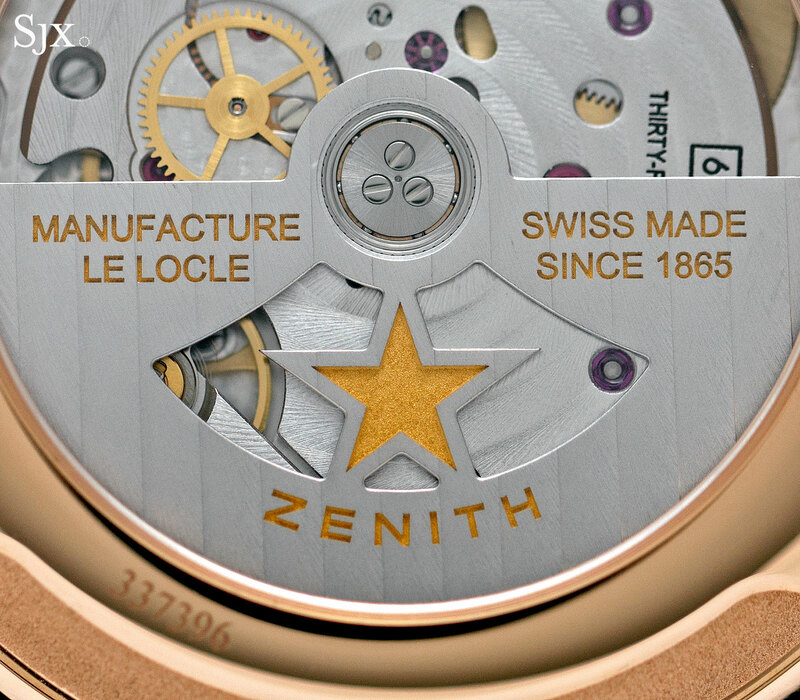 While the movement is cutting edge for Zenith, the design of the watch veers towards conservative. The dial is extremely simple, almost ascetic, with a metallic finish and radial brushing. Even the elongated hour markers are printed, rather than applied. 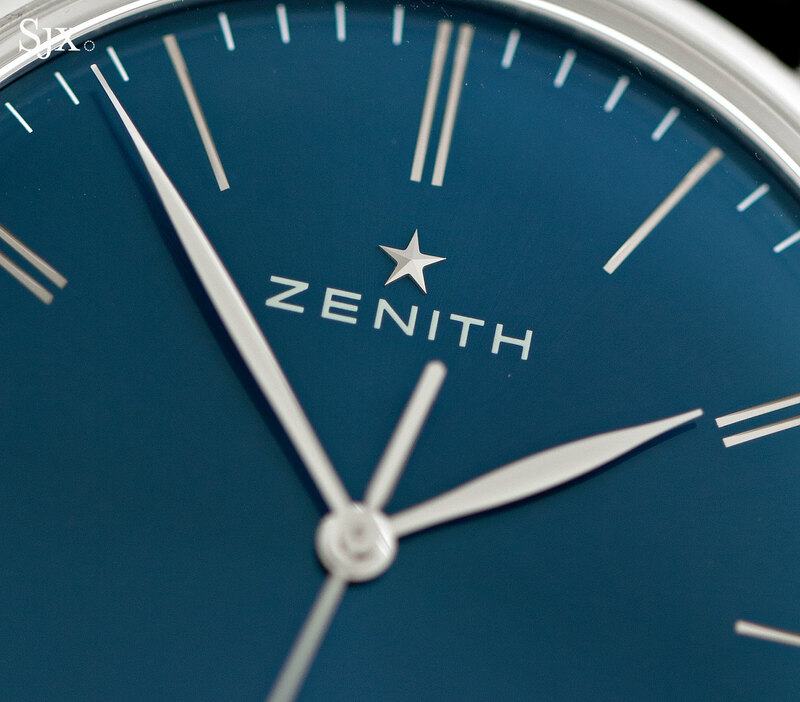 The only flourish on the dial is the applied Zenith star at 12 o’clock. For a low key dress watch, this look works well. That being said, the case is large at 42mm from edge to edge, but seems significantly bigger due to the narrow bezel and slim lugs. The size helps it feel modern. 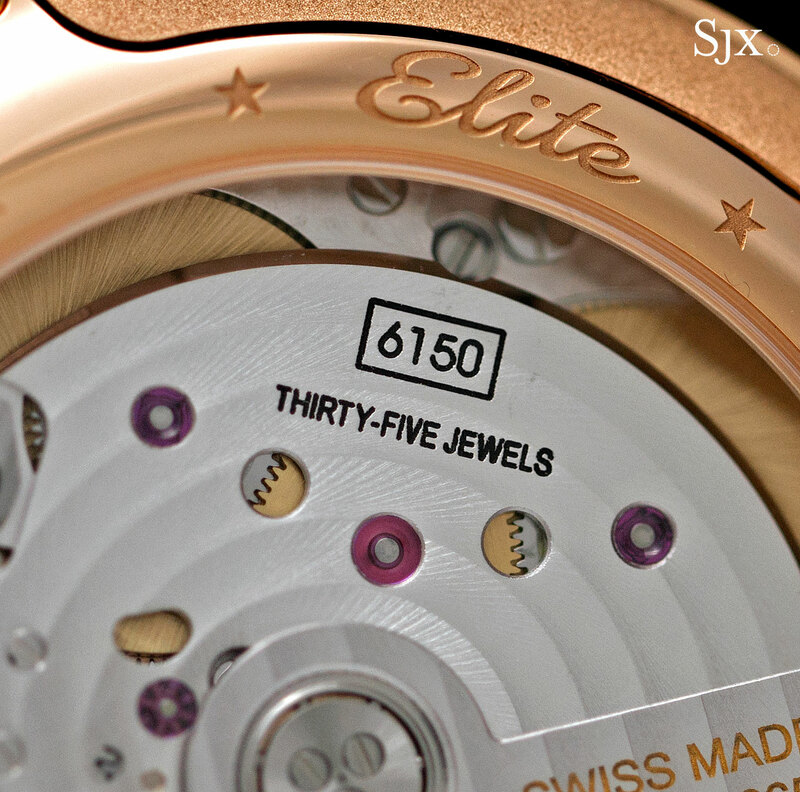 Originally available only in stainless steel, the Elite 6150 was introduced in 18k rose gold at Baselworld this year. While exactly the same as the steel model design-wise, the rose gold version looks more elaborate just because of the colour and weight of the precious metal. 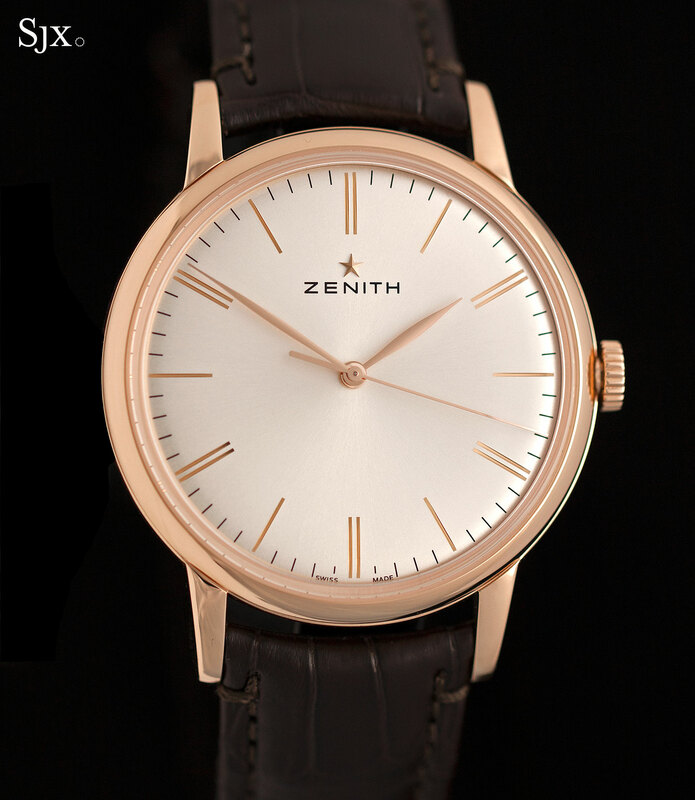 Surprisingly for Zenith, which typically offers significant value for money, the Elite 6150 verges on being expensive. The most basic El Primero chronograph costs only a few hundred dollars more than the time-only Elite. Even a fancier El Primero, like the Range Rover special edition in ceramised aluminium, is only about 10% higher. Even a comparable Jaeger-LeCoultre is marginally less. 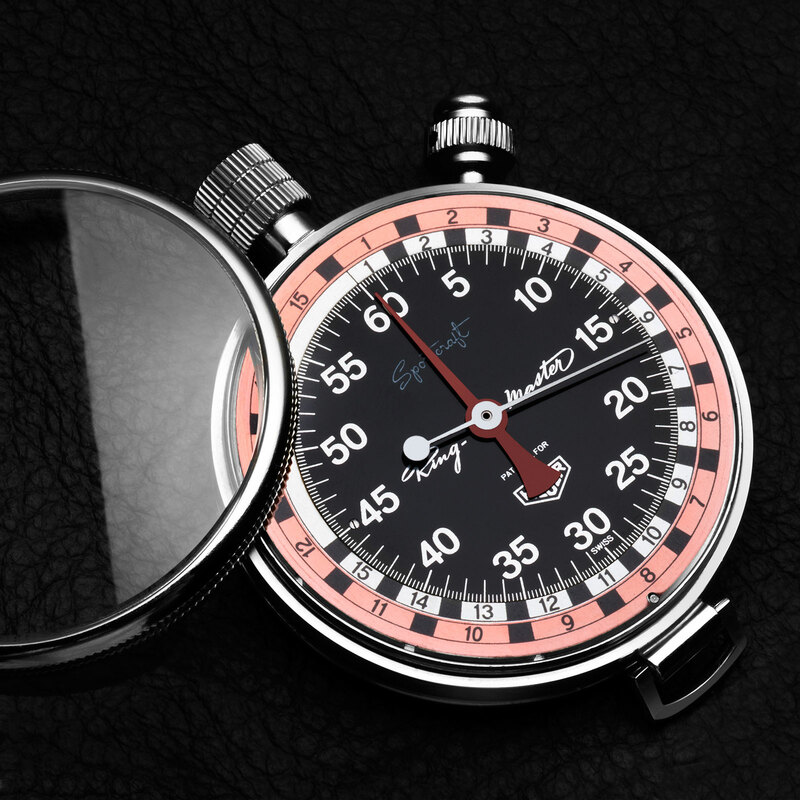 That’s likely due to the fact that the El Primero is now almost 50 years old and essentially unchanged, so its development costs have long been amortised away. The 6150, on the other hand, is brand new and still produced in relatively small numbers. 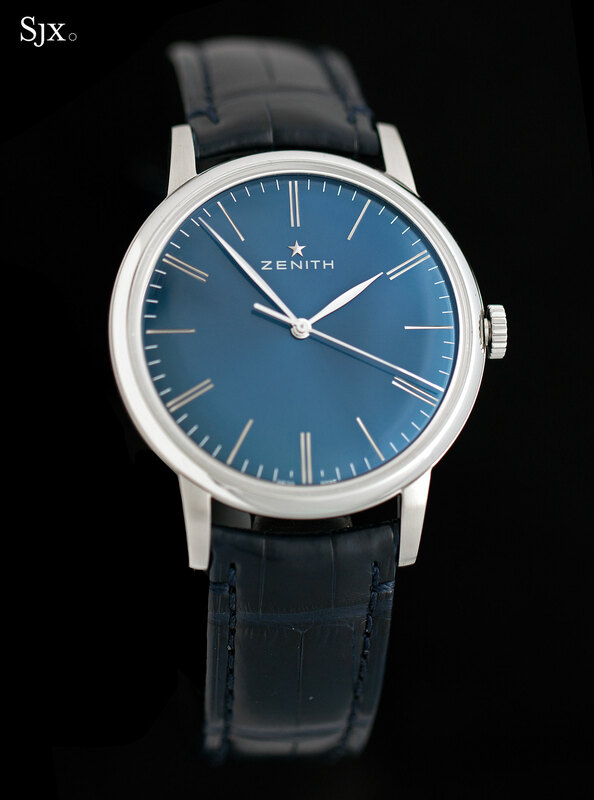 The Elite 6150 is already in Zenith retailers and boutiques. In steel (ref. 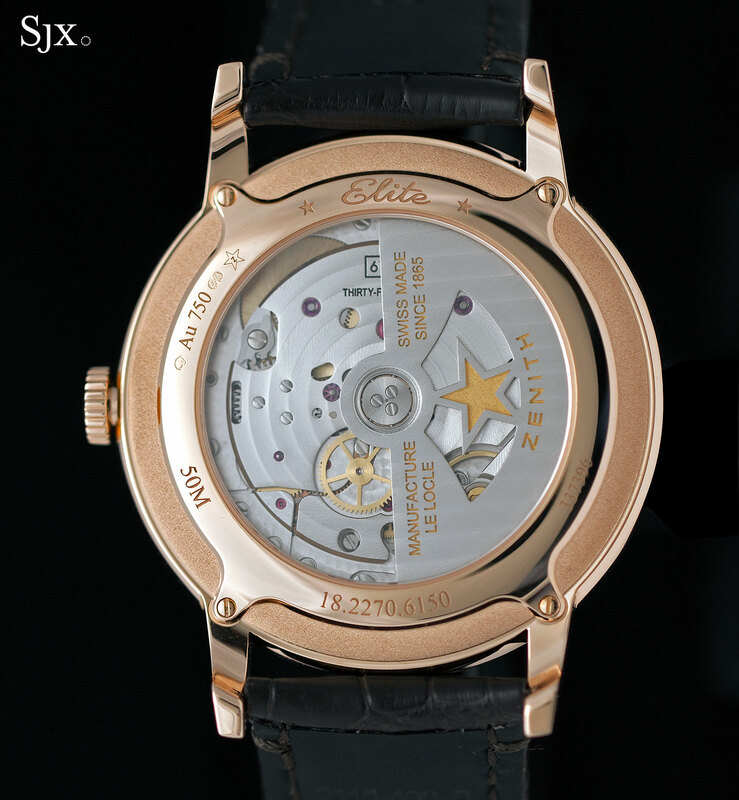 03.2272.6150/51.C700) it is priced at S$10,500 or SFr6,900, while in rose gold (ref. 18.2270.6150/01.C498) it costs S$19,500 or SFr12,900. Named after the boxing champ, the TAG Heuer's latest special edition timepiece can track the rounds of a boxing match. 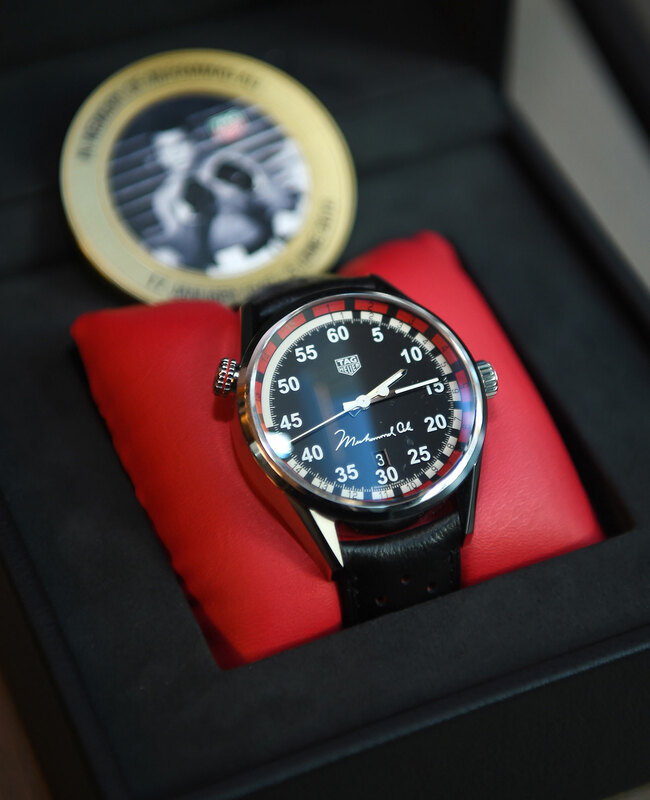 The TAG Heuer Carrera Calibre 5 Ring Master “Special Edition Tribute to Muhammad Ali” is modelled on a 1950s Heuer stopwatch equipped with interchangeable rings on the edge of the dial. These were graduated for various time intervals to record elapsed time in almost any sort of activity, from sports to scientific experiments. 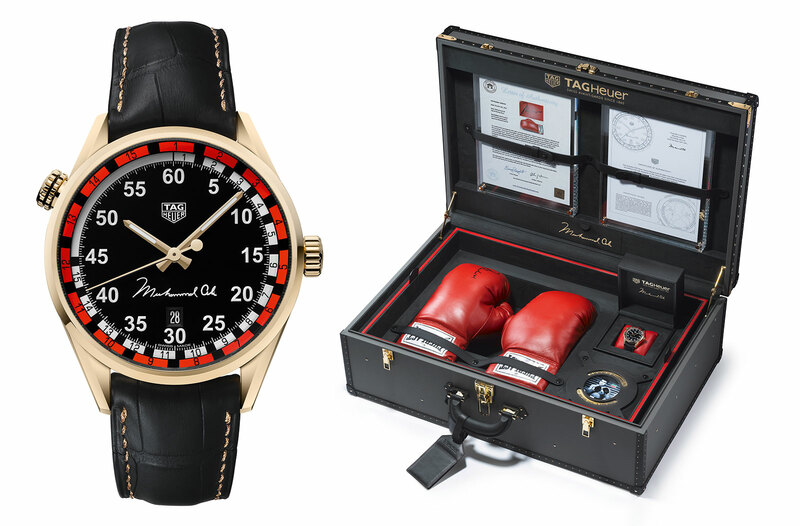 One version of the Ring-Master featured a boxing scale that could track the rounds of a boxing match – the very same feature that’s been replicated in the new Muhammad Ali limited edition wristwatch. Based on the Carrera Calibre 5 Driver Timer – one of the brand’s entry-level mechanical watches – the Ring Master wristwatch has twin boxing scales on the perimeter of the dial. Rotatable via the crown at 11 o’clock, the outermost red and black scale is graduated for men’s boxing, with rounds of three minutes in red interspersed with one minute breaks in black. It shows a total of 15 rounds, the convention until the early 1980s, while modern boxing rules dictate only 12 rounds. And the inner scale of the dial is for women’s boxing, with two minute rounds shown in white and one minute breaks in between. 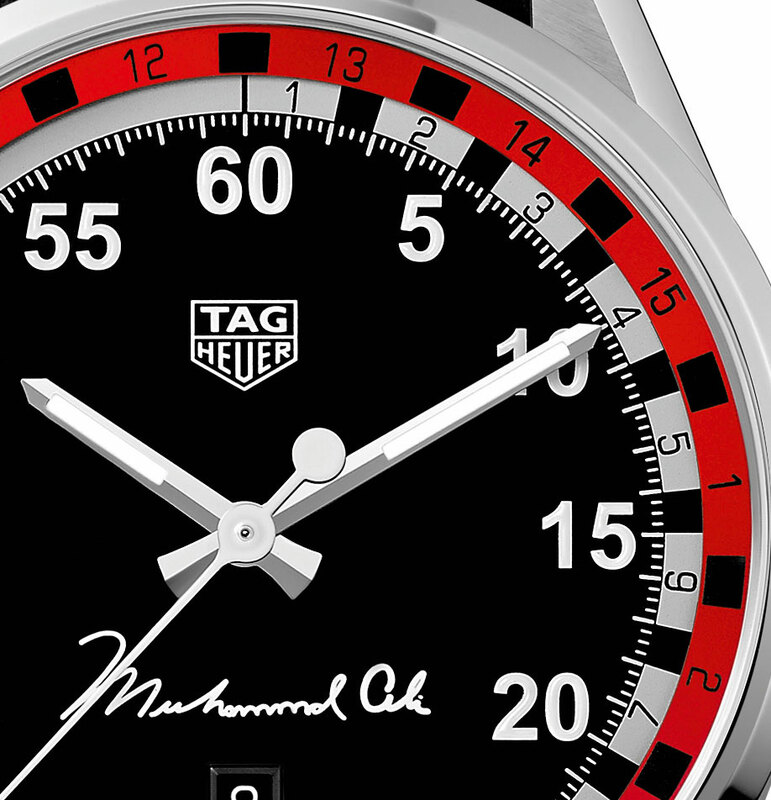 Like the original stopwatch, the Ring Master “Muhammad Ali” has five minute numerals instead of hour markers, while the Ali signature at six o’clock is a modern touch. 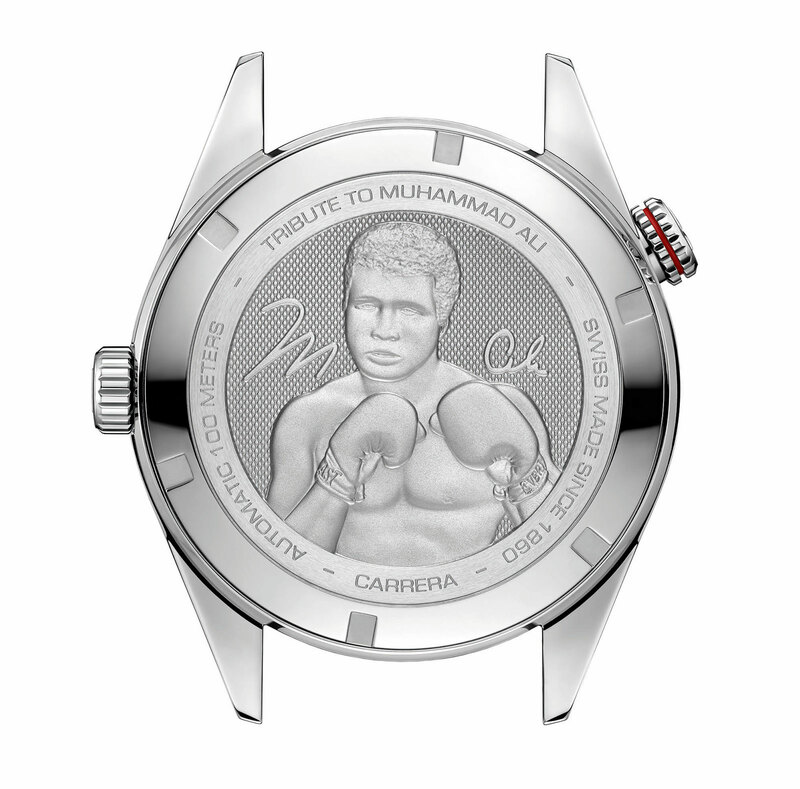 The case is steel and measures 43mm in diameter, with a likeness of Ali cast on the case back. Inside is the Calibre 5, an automatic movement that’s actually a Sellita SW200. The Ring Master is a limited edition of 750 watches stainless steel, plus a single example in 18k gold. Packaged in a leather clad trunk with boxing gloves and various Ali memorabilia, the solid gold unique piece was sold to benefit the Muhammad Ali Center, a museum dedicated to the boxer in his hometown of Louisville in the United States. Notably this is not the first mechanical wristwatch dedicated to the boxer. Four years ago IWC unveiled the Big Pilot’s Watch Edition Muhammad Ali, a limited edition variant of its oversized aviator’s watch in black and red with Ali’s signature on the back. The Carrera Calibre 5 Ring Master “Muhammad Ali” (ref. WAR2A11.FC6337) is priced at SFr2800 or S$4100. 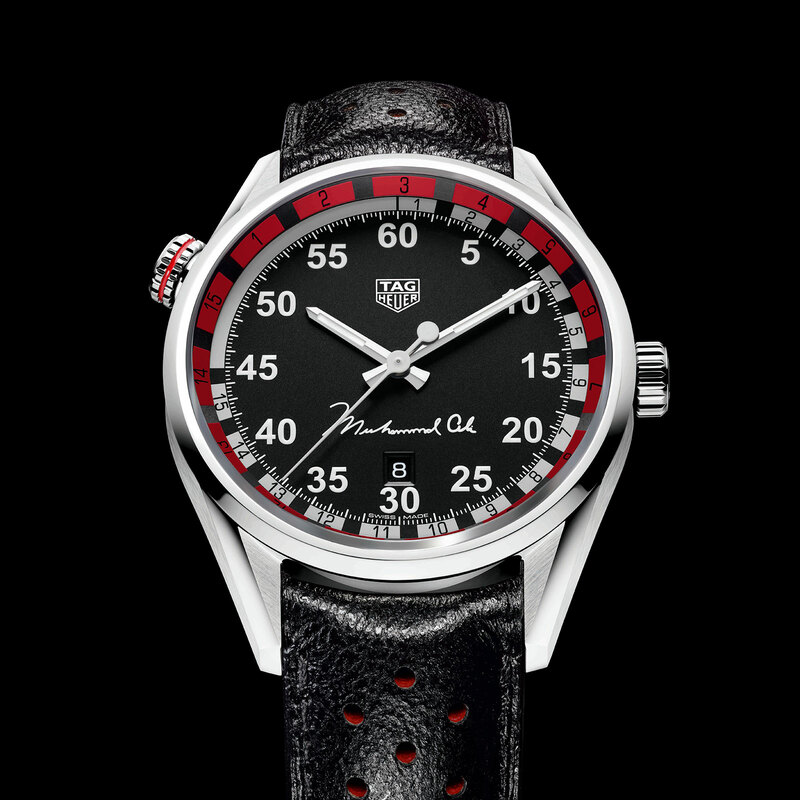 It’s already available at TAG Heuer boutiques and retailers. Addition October 26, 2016: Including note on IWC Muhammad Ali wristwatch from 2012. Based on the vintage Heuer Carrera 30, the Carrera Calibre 18 Telemeter is the newest addition to TAG Heuer's line of chronographs inspired by historic motorsports watches.